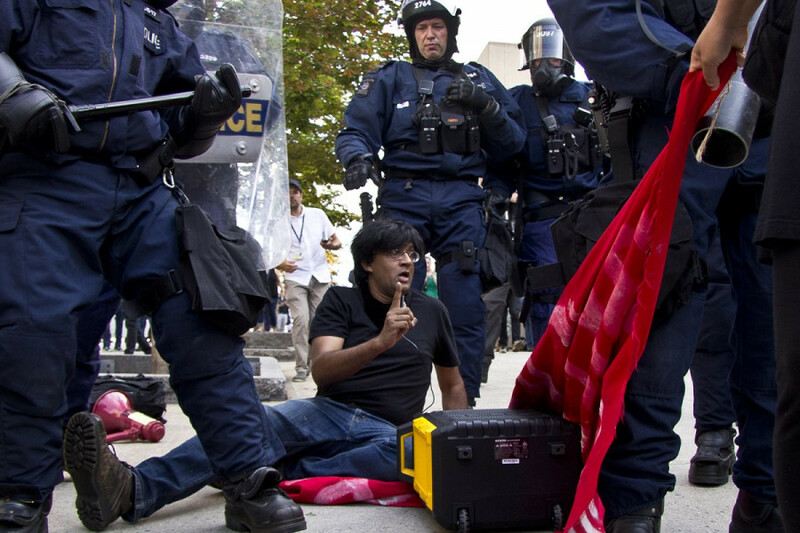 As Quebec City riot police were attempting to disperse the protest against right-wing group La Meute, activist Jaggi Singh refused to move and found himself behind crowd control lines, pushed to the ground by officers, on Sunday, Aug. 20. The gathering had been declared illegal after acts of violence and vandalism were done by some protesters part of the anti-racist grouping. Photo Brian Lapuz. Montreal activist Jaggi Singh is expected in the Quebec City municipal court Wednesday afternoon for charges related to his activities during anti-racist, and anti-fascist counter protests on Aug. 20. The charges are related to Singh’s refusal to give his real name to police officers when he was detained the day of the protest. After repeated questioning, he chose to name himself as Michel Goulet, a retired left-wing hockey player from the former Quebec Nordiques. When asked his address he told officers that his address was the hockey arena, Le Colisée. After a warrant for his arrest was sent out by Quebec police, he was arrested yesterday morning in Montreal and was transported to Quebec City. Arij Riahi, a Montreal lawyer and his liaison with the public, says that they’ve charged him for impersonation and obstruction of justice. It’s still unclear who will be representing him in court. 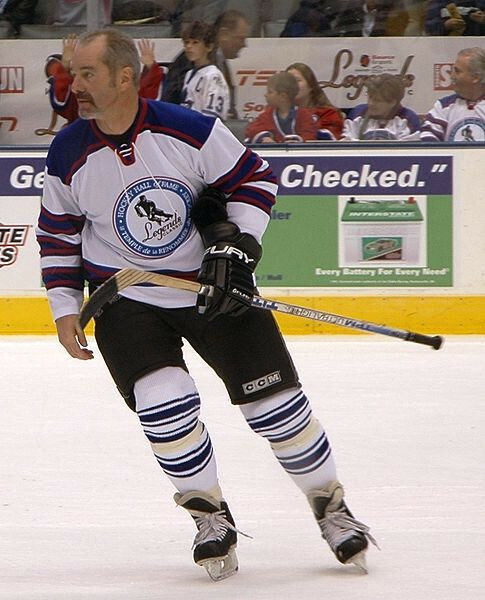 Michel Goulet, courtesy of Wikimedia Commons. On Aug. 20, hundreds of counter-protesters gathered around the National Assembly in an attempt to push the far-right group La Meute out of the city, who had made plans that same day to protest against the influx of migrants crossing the border into Quebec. Some counter-protesters marching against the right-wing group La Meute used a number of violent tactics, and also vandalised the city. A number of those acts were committed by masked individuals who allegedly came from Montreal. Singh helped to organize the contingent from that city. “I would appreciate the support from people in Quebec City as I appear tomorrow in court,” said Singh in a statement yesterday morning. A demonstration outside the court to show support for Singh, and denounce political profiling, has also been announced.